It’s another two tramway loan tram today, although this tram hasn’t actually been to its home tramway throughout the history of British Trams Online! 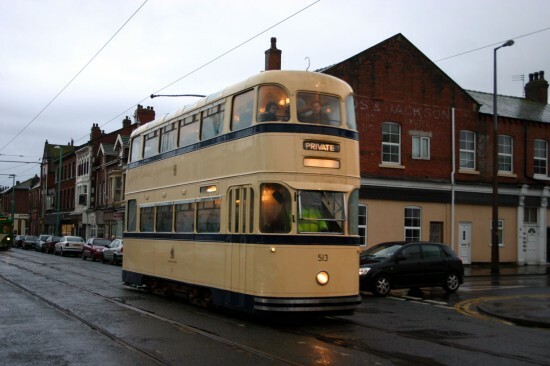 During the past 15 years it has been in both Blackpool and now at the East Anglia Transport Museum. Sheffield 513 is actually part of the Beamish collection but the last time it saw the north east was February 2001 when it headed off to Blackpool for a long-term loan having also been in Blackpool in the mid 1980s. 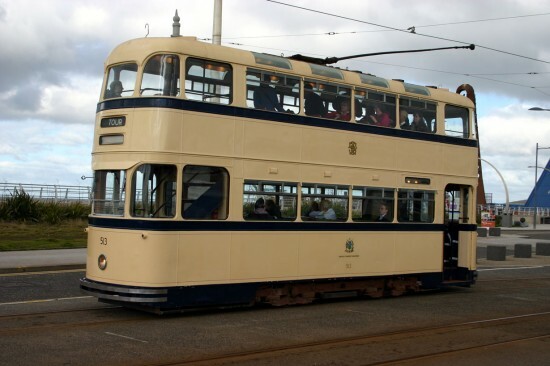 It’s second loan in Blackpool saw the tram only used on a fairly limited basis but when it was in service it always proved popular. 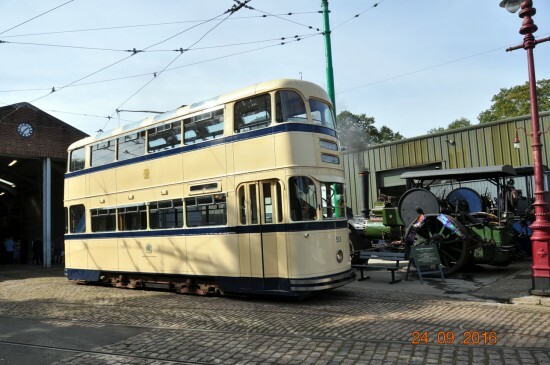 It remained in the north west until 2011 when a further loan agreement was reached for it to move to the East Anglia Transport Museum with the tram departing in February 2011 for its new home, a home where it remains to this day proving itself to be a useful addition to the operating fleet. On 7th November 2009 Sheffield 513 travels through the streets of Fleetwood on an enthusiasts tour to mark the end of traditional trams to the northern terminus of the tramway. This entry was posted in Beamish Tramway, Blackpool Tramway, British Trams Online at 15, East Anglia Transport Museum, Loan Trams. Bookmark the permalink. Sheffield 513 is such a beauty. She reminds me of Glasgow’s Cunarders – the same rounded streamlined looks. By my book, it’s high time we had similar double-deck streamliners serving our second-generation tramways. You cannot have modern double deckers as they cannot be 100% accessible. they also would not fit on the new gerneration of liines which use railway alignments.